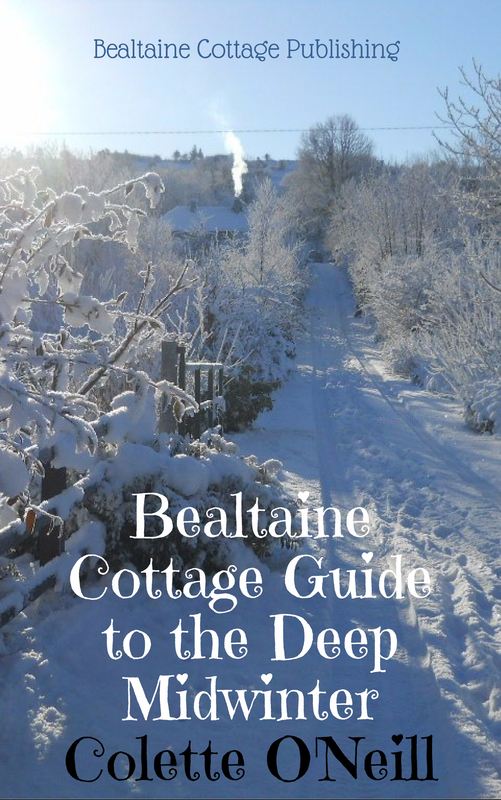 The west of Ireland has been drying out over recent weeks, as the drought continues to make it’s presence felt in streams, rivers and, most importantly for Bealtaine Cottage, Spring Wells…mine in particular! Those attending yesterday’s workshop noted the now empty rain barrels! 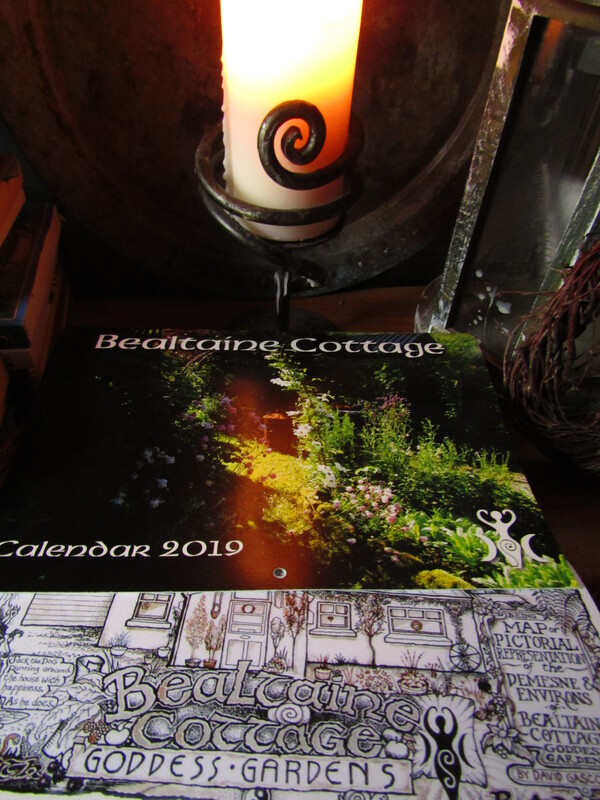 There is rain promised for Friday the 12th of May…the day when a visitor from America flies in to take up a week long course at Bealtaine Cottage…so rain will be greatly appreciated on this occasion in order to facilitate shower facilities in the cottage! On the plus side, there’s a new wooden veranda to enjoy sitting out on…the lodge is where visitors get to stay, in comfort and, to some degree, independence and privacy…that is unless SammyBear, Beauty or, indeed, Jack, try to barge in, as oft they try! Over recent years, this early summer drought has become a feature of our evolving weather systems. Who would have ever imagined this to become a pattern here in Ireland, but it has! More water butts are needed and will be put in place at the end of this year in preparation for next! Planning and implementing are both important tools in dealing with what appears to be deepening climate change. Putting in place as many practices and resources to ameliorate the worst effects of climate change are important to building resilience. It is no longer practical to plant trees and shrubs in Spring, as the reliability of previous planting times are now in question. Autumn and winter are now the only times to plant and be assured of the conditions needed for healthy rooting. The dense planting schemes I introduced at Bealtaine Cottage at the beginning of this project thirteen years ago have served the land well! Plentiful shade and supporting growth has helped establish real resilience! What we carry in our hearts and nurture, is either an image of the beauty of Mother Earth, or, one of darkness, and the horror, we, as a species, have cultivated. To this end, the image of light and joy, I created the stone circle which sits on the outer edge of Bealtaine. I say this because a recent visitor asked me why I made it. It is sad to forget the joy of imagination and magic. “I thought that you would be frozen in awe when you found the sequence, when you heard a bird’s song repeating my Morse code, my cry for help, my S.O.S, when you saw the same numbers in the petals of a flower and the structure of a pine cone, when you saw with your own eyes the interconnectedness of all things. 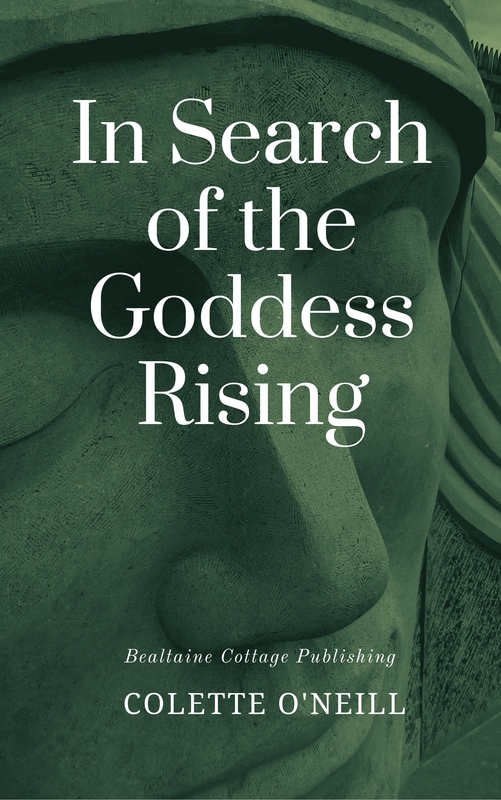 You searched for a male god, a creator, an intelligent designer, or you banished the beauty and mystery of the world beneath the cold concrete grave of closed-eye scepticism. The few of you who could still hear my music felt tortured and misunderstood; you reached out for any conspiracy theory large enough to explain your alienated despair, your sense that the Earth was dying and no one cared. But listen to me — you are not alone. Run your fingers through the grass and grab it in your fists, feel my pulse echoing through your blood. The above quote from Sarah Warden sums up, for me, the reasons for my optimism…or in part at least! I have witnessed the surge of life across this once derelict, sad and lonely place! 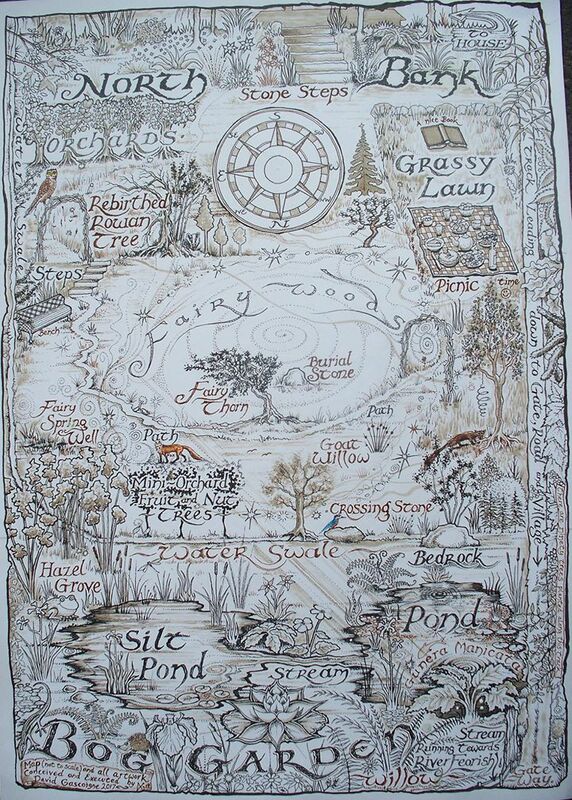 In a way, my building the stone circle encapsulated the joy and magic I often felt and continue to feel on this land. Mother Earth is like Sleeping Beauty, simply waiting for love! I am a great proponent of technology, as it is through the medium of the internet and a good camera, that the beauty and promise of Mother Earth can be celebrated worldwide from this little piece of her, here in the remote west of Ireland…and using a phone hot-spot as my connection! The ancient peoples who built this cairn atop Kilronan mountain would have been intrigued! I am in the process of writing another book, one that may further express the magic and wonder I feel living here. Added to this the decision to embark on a second print run for “A Cottage and Three Acres,” a book I never imagined would be as successful as it is! 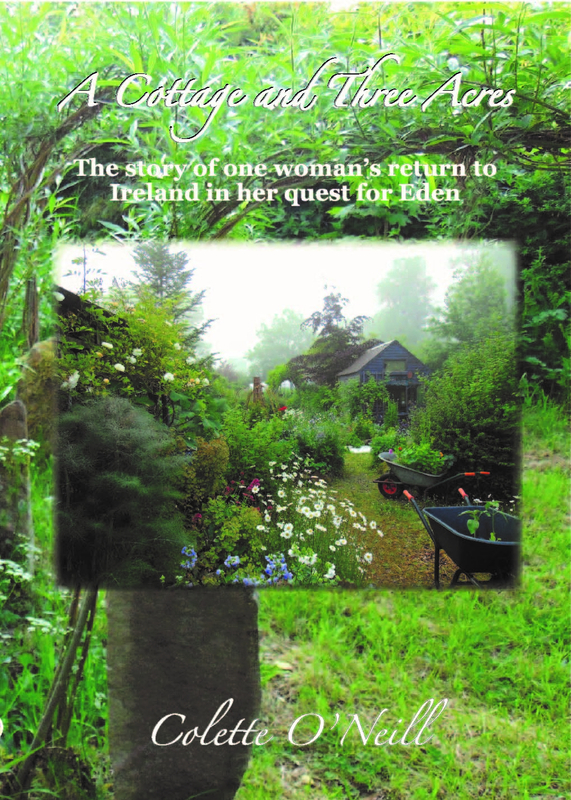 It is wondrous for me to see how many are encouraged and enriched by the story of Bealtaine Cottage. Sitting by the stone circle this morning, Jack at my side, snapping photographs as I sipped my coffee, seems so personal, yet this is how many of you tell me you feel when looking at the images on your phones, tablets and computers…now that is magic! I believe that we have evolved to this point where Mother Earth can be seen, in detail, close-up, by all for the first time! This is the pivotal point in our own evolution…we either fall in love with Her or keep to the path of egotistical destruction that is the corporate madness of the latter part of the twentieth century and the utter stupidity of the twenty first! I will leave you with these photographs. No doubt you will look at them and admire the beauty of our incredible Mother and the joy she exudes. Just because mankind has wreaked havoc and destruction upon her, does not mean she is dead or dying, despite the images of the horrors we often see. Indeed, the arrogance of many is verbalised in their dire predictions for Earth! Even Stephen Hawking recommends that mankind move to Mars! 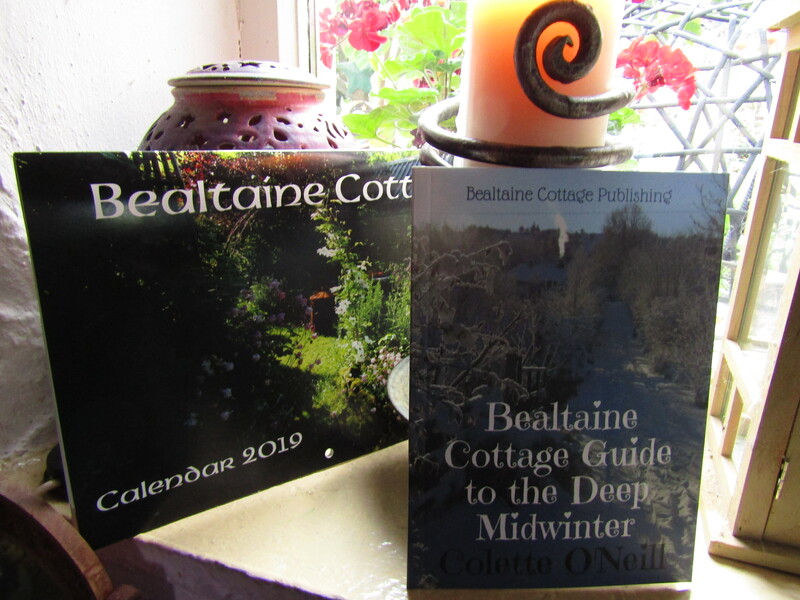 Bealtaine Cottage is proof, if ever there was needed, that she sleeps below us, waiting, waiting patiently to be awoken with love, tenderness and joy. In our arrogance and hubris, we have been led to believe that we can destroy Mother Earth! It’s time we grew up and left our spoiled and petulant childhood behind us and, instead, start to take care of our Mother! The book “A Cottage and Three Acres,” is now available to purchase…with 71 colour photographs! Once through to Paypal, currency conversion is worked out for you. I will acknowledge your order ASAP. Colette, thank you for sharing your lovely prose and photos, they always give me a smile. I’m sorry that you have been having such a dry spring. We have not! Also since we had over 12 feet of snow this winter, the rivers, streams, lakes and ponds are gushing. We live over a huge aquifer so our well is doing very well this year. The water is cold and clear. Thank you again for bring joy to all of us by sharing your efforts. Blessings…and the rain has come, so all is well! Oh my, your new camera takes beautiful pictures! Absolutely gorgeous. We will destroy ourselves before we completely destroy the earth. Mother Earth will regenerate after we’re gone. Maybe we will have lost some species of plants and animals in the process which is very sad but She will bounce back and create new beauty. Hopefully without a species as stupid as we are next time. You continue to give hope and inspire with your words and your work. I am attempting to propagate 8 little trees but this morning they look pretty pitiful. Perhaps one day you can do a little video of your techniques? I hope you get a good rain this week. Funny, I was thinking the same thing yesterday. I’d love to know how to plant more trees, especially fruit bearing ones, without spending a ton of money. Oh Colette, you encourage me so much. I find myself surrounded by those who think my puny attempts to make a difference by transforming my own patch are too little, too late. Maybe they are right. I don’t know. What I do know is that I have to do something. I have to do what I can. May the rain come soon. I love all of the pictures, Colette! I am in the process of transforming our own property into an edible paradise and you give me so much inspiration….can’t wait for your book to arrive! Can you tell me what you used to create the arches in your stone circle? It is beyond magical! Thank you! I used Willow…very easy to work with as it’s pliable and grows fast…also provides food for the bees! What a wonderful quote.. Thank you so much for sharing this and reminding us never to give up or become discouraged. Such a beautiful message of enduring hope in the face of dire predictions. All the beauty of life is right here waiting to burst forth with just a little help and caring on our part. Thank you for all the lovely pictures. May the gentle rain fall upon your land and be plentiful throughout the year. I am really looking forward to your second book. Blessings to you always. Reblogged this on My Painted Life. Beautiful quote, and very appropriate. As always, I love seeing the photos of your land and home. I hear what you say regarding the drought. Here in Wales many of the usually rushing streams and waterfalls are already dry and the reservoirs are frighteningly low. The mountains looked parched, as if it were September after a long hot summer. We too are fortunate that our water is from a crystal clear spring, no mains water here; and,like you, we are concerned as to whether the spring will continue to give forth for much longer. Our plants and earth are well mulched so will hopefully cope with the lack of rainfall and waterbutts at the ready to catch any future rainfall! Times are changing…keeping up is important…life remains abundant and resilient! Amazing blog!! The hard work you have put into the land is coming back four (or more) fold. I love your photos and blogs. You are truly an inspiration. Thank you for sharing your magic and passion. It is a wonderful quote…I too am immensely buoyed by her words!